When I was asked to write something about the recent passing of celebrity chef and raconteur, Anthony Bourdain, I realised that he had been a part of my own culinary journey. His death by suicide, whilst shocking, does fit with the narrative contained within his first book. I received, Kitchen Confidential: Adventures in the Culinary Underbelly, his breakout bestselling memoir as a birthday present from my mother. It was a surprising choice and an equally surprising success. The book lifted the lid on the squalid and steamy underworld of commercial kitchens in the United States. Personally, I had been rattling the pans in restaurant kitchens for nearly 20 years, prior to the publication of Kitchen Confidential in 2000. Commercial kitchens, I suspect, are, and were, similar around the globe, especially in western cities like New York, Sydney and London. If you have not spent any serious time behind the closed doors of a commercial kitchen, particularly in the decades before the close of the 20C, then, the content of Bourdain’s first book may be an expose for you. The line cooks who banged out the food under pressure in busy hotels and restaurants were, often, a mix of desperadoes and unsavoury characters. People, usually men, who, perhaps, did not fit in with much of the modern world but found a niche at the range. The conditions inside these kitchens were, often, hot, sweaty, and on a knife’s edge. It takes a special kind of person to be able to bear up under this kind of pressure and in this sort of environment. There was a camaraderie among the denizens of these culinary stews. There was a macho element, back then, of ribald humour in the face of the daily demands of hungry diners en masse. Surviving a service and successfully manning your station had some of the hallmarks of warriors in battle. Bourdain captured that rich and grimy world and conveyed its essence to a much larger audience. Prior to this, not much had been written about the real workings of commercial kitchens. George Orwell’s Down and Out in Paris and London was one of the few that recorded the reality of the dungeon kitchens in places like The Savoy. There had been little interest shown in the topic by those who decide what gets published, those at the top end of town. I wondered about this myself, as a working cook, why for decades and centuries the kitchen realm had been studiously ignored by the literati? Was it the fact that in ancient Rome most kitchens were manned by slaves? As a western culture, we have derived many of our traditions from the Romans. The Romans enjoyed their food, especially their garum (fish sauce), but if cooking was the pursuit of slaves, it would not be acknowledged as a worthy topic of exploration by those who wrote things down. The New Yorker Bourdain shone a light on the inner workings of the kitchens he was employed to run. He wrote a follow-up to the first book, called Medium Raw: A Bloody Valentine to the World of Food and the people Who Cook. His mother had been a staff editor on The New York Times, so, he, most likely knew his way around the written word. He attended Vassar College for a couple of years before dropping out. In 1978, Bourdain graduated from The Culinary Institute of America, and went on to run a number of restaurant kitchens, including becoming executive chef at the Brasserie Les Halles in Manhattan. The best-selling books launched Bourdain into the realm of celebrity TV chef, where he starred in A Cook’s Tour; No Reservations; The Layover; Parts Unknown; and The Mind of a Chef. More books, including cook books followed; and he was regarded in the same vein as a rock star in the culinary world of TV and publishing. He was, I suppose, a culinary journalist at heart, combining his two loves and creating a new form from their merging within him. My own brief experience in the media, creating recipe features and cooking magazine supplements jarred with what I intuitively understood hospitality to be about. I felt like a fake during the studio photoshoots, when my dishes were tricked up to look more real than real. I wonder if the glitz and glam of TV land, eventually got to Anthony Bourdain and he lost his way. Of course, one can never know why a person decides to take their own life, we can only speculate. Bourdain was a writer, a chef, a TV show presenter, a father and well-remembered friend to many in the hospitality industry. 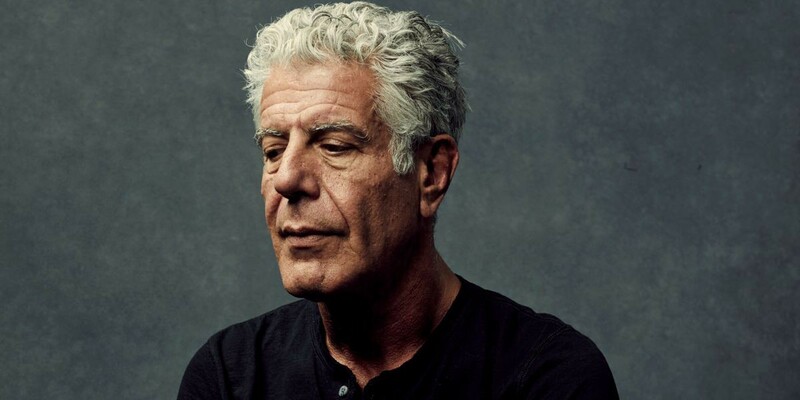 RIP Anthony Bourdain.